In this episode we take on the topic of formal theological education. Is it valuable for college ministers? Is it practically applicable to your ministry? Is taking classes even feasible for someone serving on campus full-time? Listen to find out! Theological education is morphing to be more practitioner-oriented through mentor networks and customized field-studies. Online classes and mentored programs make it possible to stay in the context where God has called you while pursuing theological education. Everything from certificates and 36-hour degrees to 90 hour MDiv degrees are attainable completely online. Every situation and calling is different. The revolution in theological higher education is that there are now delivery systems flexible enough to meet ministers wherever they are. 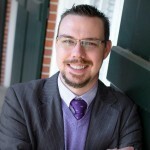 Jody currently serves as Assistant Professor for Christian Education at New Orleans Baptist Theological Seminary, where he is also Director for Mentoring Programs. Prior to his current role, he served in two different campus ministries.